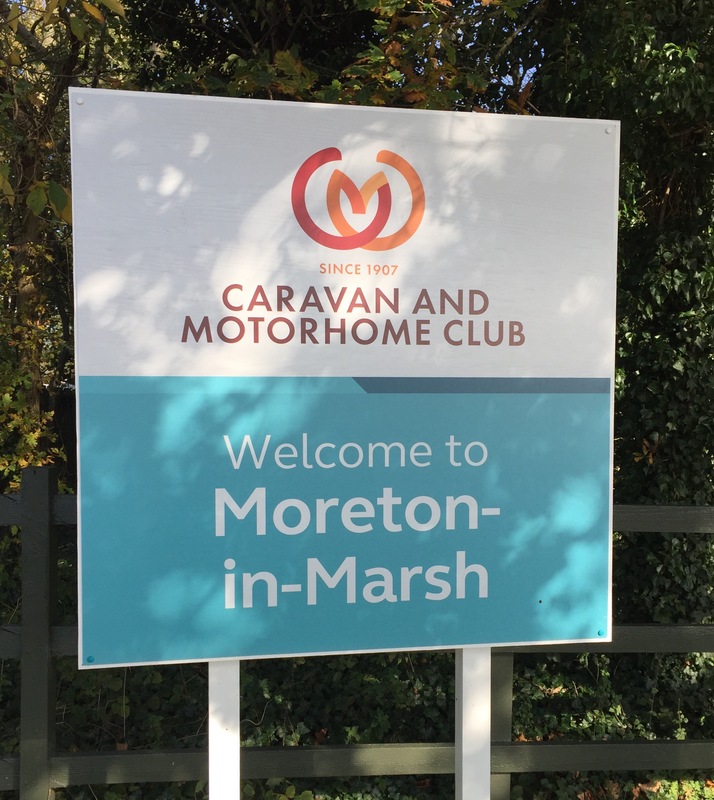 The Caravan and Motorhome Club Site is set within walking distance of the picturesque market town of Moreton-in-Marsh in Gloucestershire. Known locally for its market on a Tuesday and plentiful pubs and restaurants. Buses run from just outside the site to Stratford-upon-Avon and other bus stops a short walk away in the town take you further afield. The town is serviced by Budgens, Co-op, Tesco and a newly opened (Oct 2017) Aldi. The site has a late night arrivals area within the car park at the entrance. 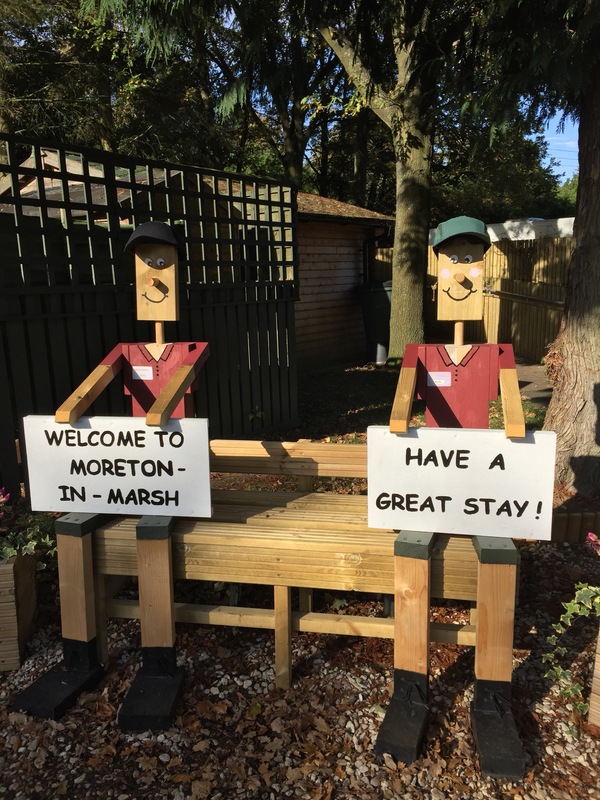 Arthur and Martha are on hand to greet you outside reception when you arrive. 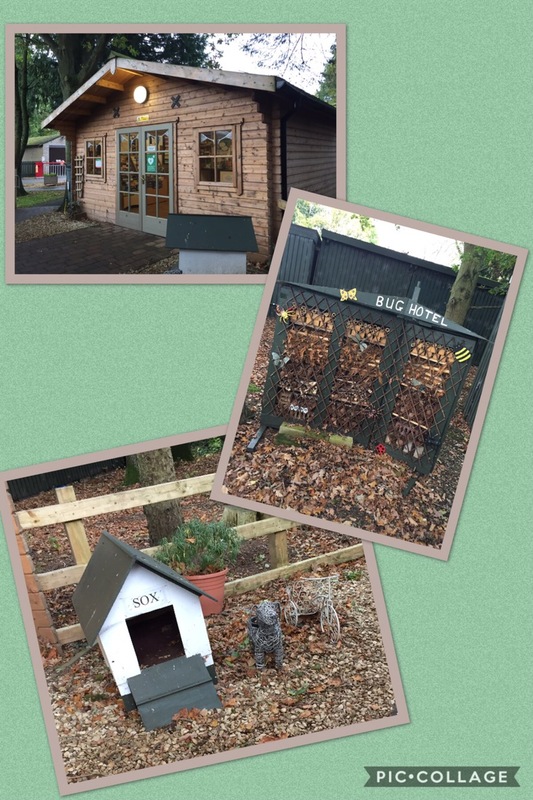 The site has an array of quirky pieces at the entrance including a bug house and a small kennel for Sox. An extremely well stocked information office stands to the side of the reception building. With the site being in the beautiful Cotswolds there is plenty to see and do. Reception has a small onsite shop selling basic grocery and caravan related items. The site is large with 183 pitches. 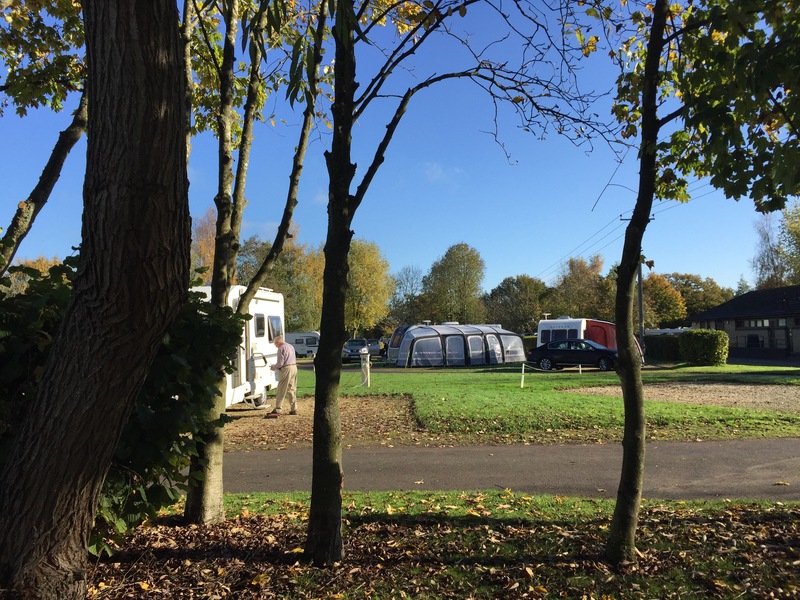 The pitches are on the small side with only room for a car and an awning. Cars need to be parked in front of your unit resulting in pitch areas looking a bit cluttered in busy times. This is balanced by the planting of lots of well established trees and shrubs giving the impression of woodland. Be aware, where there are trees there are birds, big birds. Wood pigeons leave behind a mess on your car and caravan. 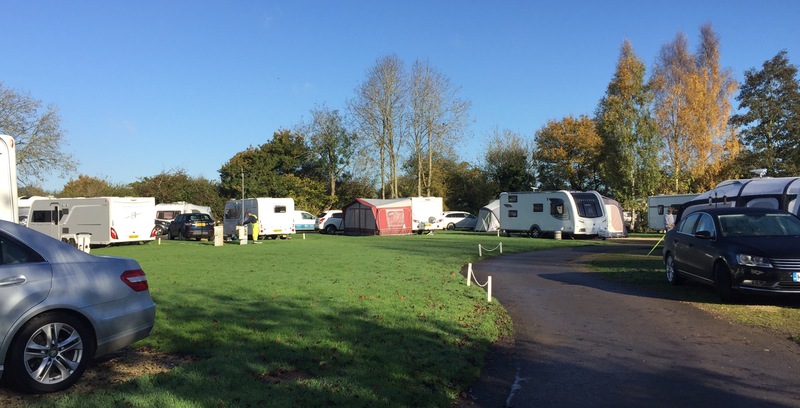 Every morning the site’s routine seemed to be empty the loo and waste water, fill the aqua roll and clean bird ‘stuff’ off the car and caravan. 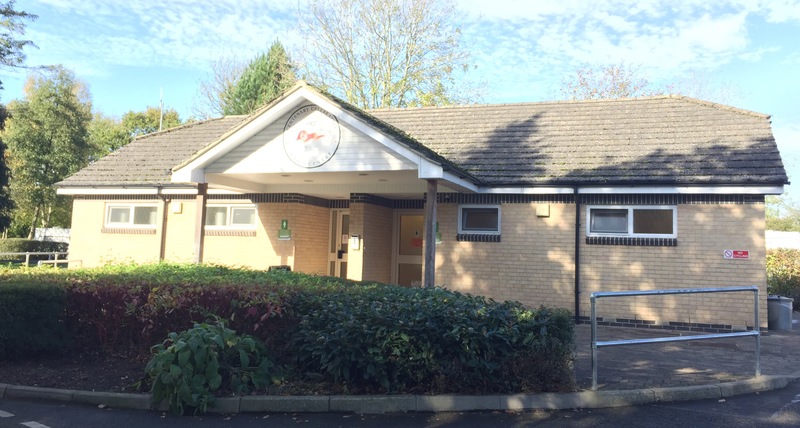 The site has two well maintained, warm facilities blocks. Both blocks have indoor dishwashing areas, laundry facilities and toddler bathrooms. A wood fired pizza van visits the site twice a week, we can vouch for them. Their pizzas were delicious. They also have a Chip Shop van which visits once a week. Both were very popular. We however were put off by the queue at the chip shop van and used the small chippy in town. This was also very popular and a lot cheaper. Their chips were tasty and freshly cooked. The site has a large play area complete with climbing frame, crazy golf and a boules pitch. Due to being there in half term I was unable to take photos of the play area. With the weather being kind to us the play area was popular with children from dawn to dusk. A large dog walking area stands to the side of the play area where dogs can be let off the lead to run off their excess energy. Again I was unable to take photos of this area as it was very popular all day long. Negatives of the site: The site feels very cramped and the pitches are small. The Wi-fi was very slow. This could be due to the site being full to capacity. It did, however, have very good 4G and phone signal on O2. Pricing for us this time was a little different. We stayed for 4 nights in the October half term week. For 2 of those nights we had our grown up daughters with us, for the remaining 2 nights it was just ourselves. All together we paid £135.50. An expensive 4 night break. Without the girls it would have been just over £100. For budget reasons we would normally try to avoid school holidays. Would we go again? Yes we would. We would probably try to visit during term time though. That’s a good review but very pricey. We really don’t envy folk paying for family groups. As a rule we try to avoid school holidays to benefit from lower site fees, but we had a number of reasons to be in the area at this time. Plus, unlike us, our grown up kids like shower blocks and hair-dryers, they will only ‘rough it’ to a point. luddy2 thanks so much for a string of WordPress “likes”. Much appreciated.